Gobions Wood is one of the best sites in Hertfordshire for fungi, according to the late Michael Jonas, one of the trustees responsible for the former Gobions Woodland Trust. But, in his report published in 1998 he wrote: "because some fungi are poisonous for humans to eat and perhaps also because they seem to appear overnight, they receive a bad press." We have preserved his report along with images of the species of fungi to be found in Gobions Wood. "Many fungi thrive on dead wood and, perhaps for this reason, when they appear on living trees it is assumed that they are harmful to the tree, when they are in fact just 'doing their own thing' and playing a vital role in the ecosystem. So please enjoy the surprising range of shapes and colours of our fungi." "This site is proving to be one of the most important for fungi in the county. Other counties in Britain already have Sites of Special Scientific Interest designated on the strength of their mycological importance, some with far weaker credentials than Gobions. "If any site in Hertfordshire deserves such status for its fungi then surely this one does while the added importance of the place for other organisms further strengthens this claim. It is important that future management work should take account of the mycological interest and importance of this site." 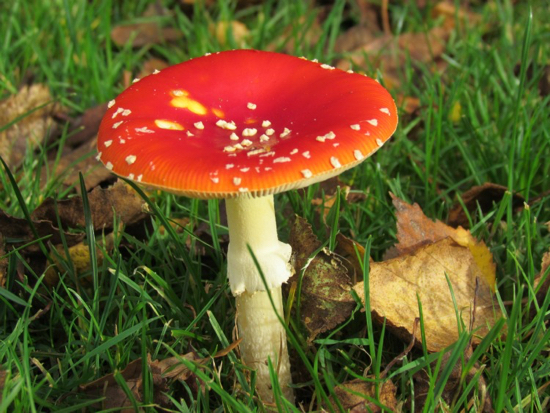 Alan Outen's report is reproduced below the following images of fungi found in Gobions Wood.